80 South Koreans meet separated family members for first and last time this weekend. The first of this week’s Inter-Korean reunions between North and South Korean family members ended today in Mount Gumkang, North Korea. 80 eldery South Koreans met 180 North Korean family members for the first and last time in over 60 years. A total of 10 hours were spent together over the three-day period before saying their final goodbyes. A second group of 361 SK’s and 88 NK’s will begin a 3-day meet up on Sunday. 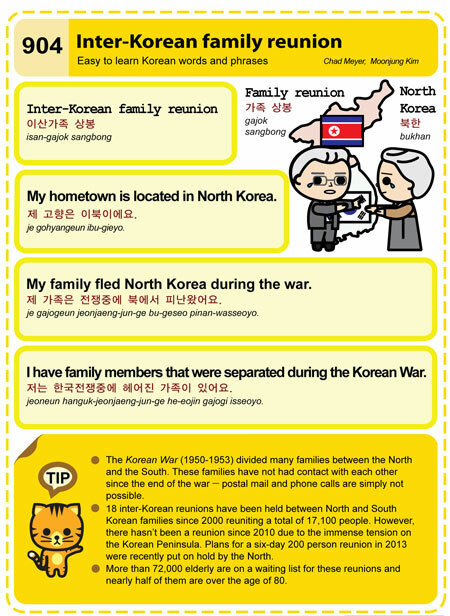 This is the fifth set of reunions between the North and South. 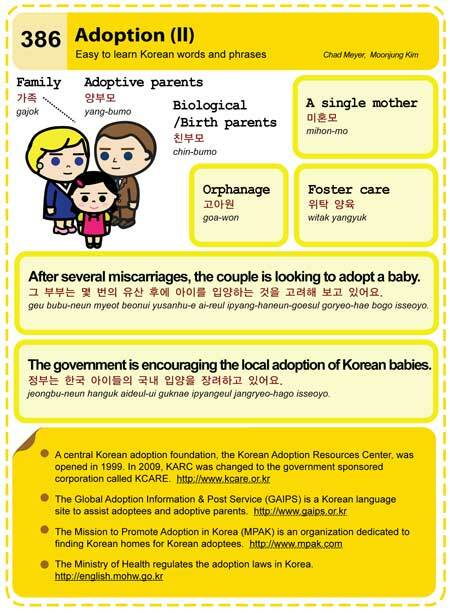 Challenges for mixed couples adopting and residing in Korea. While it’s getting more difficult for the international community to adopt from Korea, it’s even harder for mixed couples residing here. The Korea Times shared a story about the hardships of adoption faced by an American husband and Korean wife couple living in Gyeonggi Province.